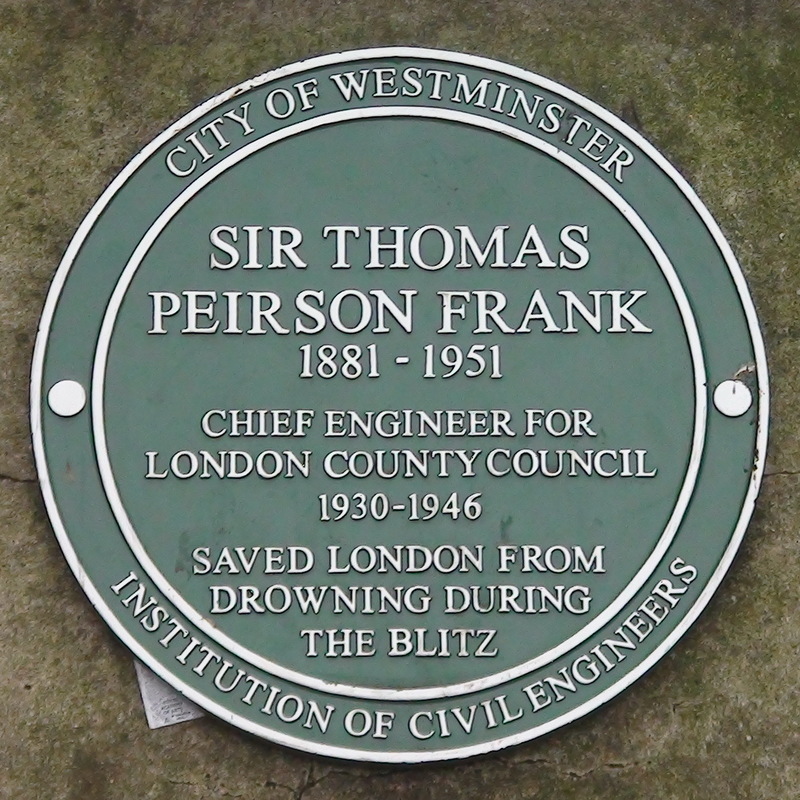 Sir Thomas Peirson Frank, 1881 - 1951, Chief Engineer for London County Council, 1930 - 1946, saved London from drowning during the Blitz. Unveiled by the Audrey Lewis. 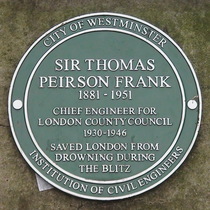 This plaque is attached to one of the repaired sections of the river wall damaged in WW2 and repaired by Peirson's secret rapid response unit. Not a good choice of stone for a plaque.